BEIJING (Reuters) - An earthquake with a magnitude of 6.4 struck in China's southwestern province of Yunnan on Tuesday, though initial reports from state media said there were only limited casualties in the sparsely populated, mountainous region. The United States Geological Survey said the quake's epicenter was 163 km (100 miles) north-northwest of Yunjinghong and 10 km deep. The epicenter, Jinggu county, is in a remote, largely rural and mountainous part of Yunnan. Xinhua quoted a county official as saying that houses there shook for several seconds and some tiles fell off roofs while residents ran outside. State radio said five people were killed and more than 20 injured, but said the number of casualties was likely to rise. Pictures on Xinhua's Weibo microblog showed smashed tiles and bricks on the ground in one village, with cracks in the walls of some of the low rise houses. The People's Daily said the county is home to about 300,000 people, mostly ethnic minorities. More that 1,000 rescuers, including soldiers, were on their way to the scene, with tents, blankets and other relief materials, state television added. 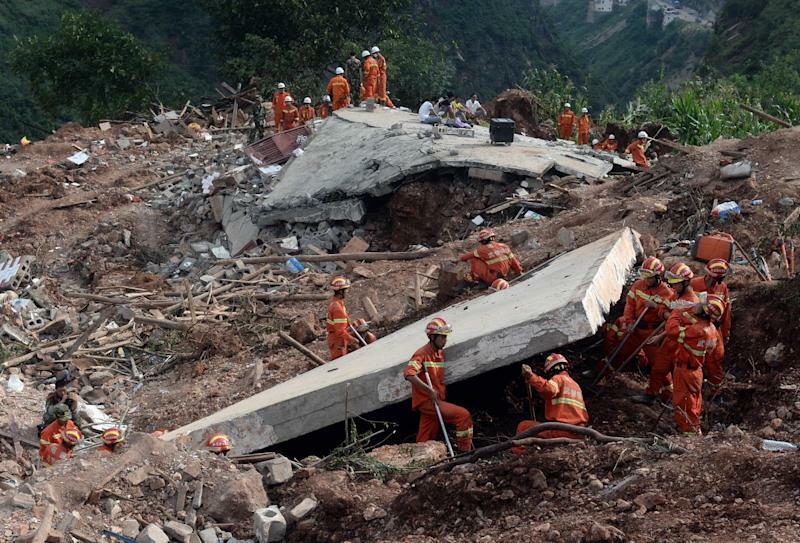 About 600 people died in a 6.3 magnitude quake which hit another part of Yunnan in August. Earthquakes frequently strike in the region. A quake in Sichuan province, also in the southwest, in 2008 killed almost 70,000 people.